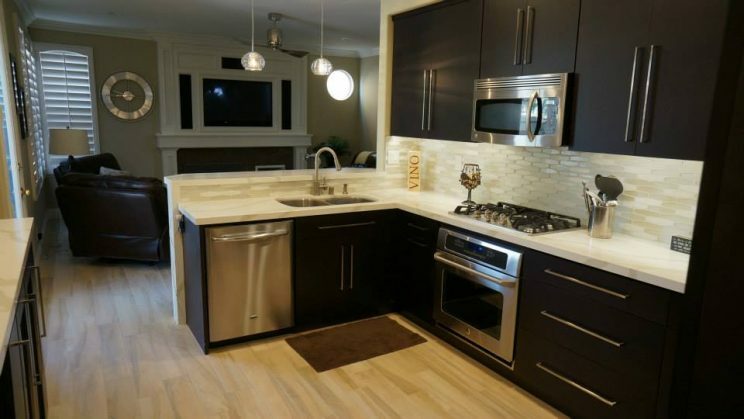 Kitchen Remodels | Epic Interiors & Construction Inc. The design is the foundation of your new space. With our help you’ll arrive at a design that’s as beautiful as it is functional. We at Epic Interiors take the time to utilize all aspects of your new kitchen. All things are taken into the design process, efficient work space, increased storage, ease of movement, and most of all comfort. Your kitchen should be warm and inviting, not to mention easier for you to create in. Let us help design a kitchen that is not only functional for you, but also as unique as you are. In our galleries you can see counter tops, cabinets, and flooring ideas.